- Publisher My friends and I each have a great story about what God is doing in our hearts. And we want to share them with you! So come with me and I'll tell you how God gave me patience. 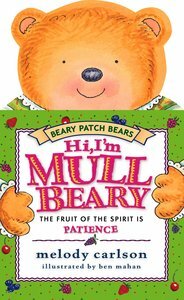 About "Hi, I'm Mullbeary (Patience) (Beary Patch Bears Series)"
My friends and I each have a great story about what God is doing in our hearts. And we want to share them with you! So come with me and I'll tell you how God gave me patience.